Cinema should not necessarily be for entertainment and entertainment alone. Cinema can be used for social reforms and can be used to share powerful messages and highlight most pathetic and unfortunate situations and make aware and open the eyes of many to burning issues. The United Nations High Commissioner for Refugees (UNHCR) together with the Foreign Affairs Ministry will showcase a film festival on refugees on June 24 and 25 at the National Film Corperation cinema hall. Three films set in three different socio-political backdrops around the world will be showcased at the festival each film on two days. 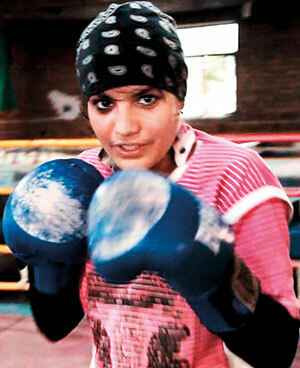 Documentary film ‘Young Syrian Lenses’, an Italian production directed by Filippo Biagianti and Ruben Lagattolla will be screened at 2 pm while ‘Boxing for Freedom’ a challenging journey of a female boxer in Afghanistan at 4 pm will be screened. The drama film ‘The Good Lie’ revolving around a group of South Sudanese refugee children who ended up in America directed by Philippe Falardeau will be screened at 6.30 pm. 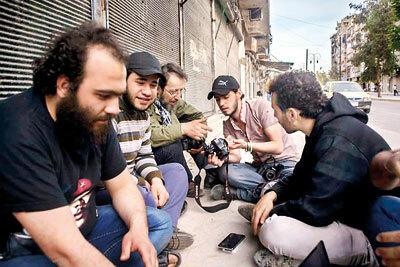 ‘Young Syrian Lenses’ tells about the life of the media-activists and is narrated through daily tragic episodes taking place in free Aleppo, which is under the siege of its own Regime since almost four years. The group of young Media-activists from the Halab News Network (halabnews,com) emerges to be a real brigade of the Syrian Resistance against the Regime, they don’t use AK-47, they use cameras and passion. The story is told from a participant observer POV, edited in an authorial way not to emphasize through fictional film language what is already a tragedy, but to show it raw as it appears to be in that fatal reality. Spain based directed by Juan Anton Moreno Amador and Silvia Venegas Venegas, depicts the story of young Sadaf Rahimi who is the best female boxer in Afghanistan. However she must deal with her country’s traditions, fear and her own fate in order to be a free woman. 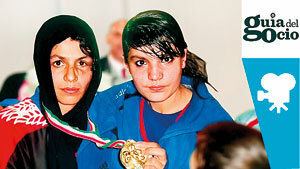 Sadaf and her sister Shabnam joined the newly created women’s boxing team at the age of 13, when they returned to their country after being refugees in Iran. 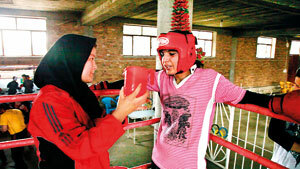 Her boxing and academic achievements will turn Sadaf into an example for many Afghan young women, but her path will not be without threats and difficulties. Orphaned by the brutal Civil war in Sudan that began in 1983, ‘The Good Lie’ narrates about a group of South Sudanese refugee children grow in the Kakuma camp in Kenya. Thirteen years later, the now young adults are given the opportunity to leave the camp and resettle in America. Upon arrival at the airport, they meet an employment agency counsellor who has been enlisted to help find them jobs. They strive to understand each other while they make peace with their histories.